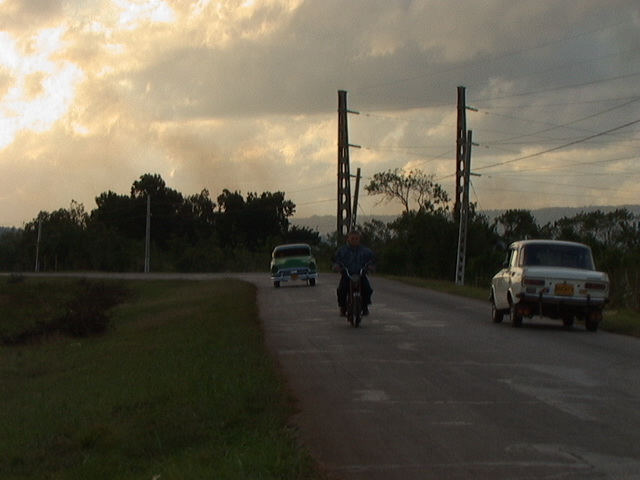 Kill The Pig is a short film that i made during my time as an exchange student at the Escuela Internacional de Cine y TV (EICTV) in San Antonio de los Baños, Cuba 2003 / 2004. 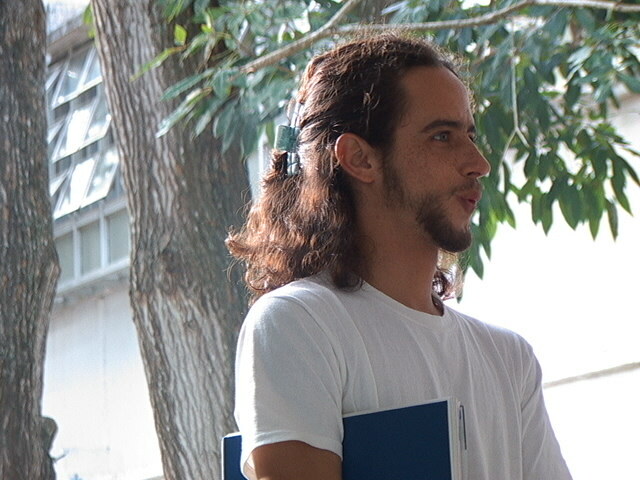 We joined the students of the regular course during the production phase of their “Pre-Tesis” projects and were lucky enough to have many talented scriptwriters, photographers, producers and sound people in our grade that worked with us. One of the most important issues for scriptwriter Pedro Vodanovich and me was to not step into the “foreigner” trap of reducing cuban life to stereotypes. Still, the issue of leaving a place – for the lack of opportunities – is a prevalent issue for young people in Cuba and we chose to work on that subject. The movie was shot in a place called Pueblo Textil, originally built to provide the housing for the workers of the nearby textile factory. Pueblo Textil is in walking distance to the filmschool, but the life couldnt be more different. While in one place students from all over latin america enjoy one of the most renowned film education of the continent, the other place is being deserted, leaving only the old in a place without work since the factory has long closed down. While the beauty of decay is an undeniable attraction in the Pueblo Textil, it also seems like an metaphor of cuban life. Everything is on hold, waiting for better times, getting by with a minimum of everything. We visited Pueblo Textil several times, so the story was specifically created with that location in mind. Photographer Thilo Schmidt and me had to figure out a way to convice our supervisors in the film school that we could handle the location changes in six short shooting days, so we had to plan a very precise shooting schedule with producers Alejandro Labrada and Javier Mendoza Palomares. The cuban monsoon rains robbed us of some shooting hours every day so things where tight. Same thing with the 16mm stock that we got sponsored by Kodak Germany, we know we had to shoot in 5:1 ratio for the material to suffice. Fortunately things turned out well and “Kill The Pig” saw the light of day after editor Laura Fong and soundmixer Shinya Kitamura did their magical work.